44 - A number of popular streets in Bali are home to many great restaurants, making choosing where to eat a delicious challenge. 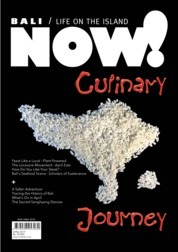 Row upon row of dining establishments decorate the two sides of these roads; some of them are the island’s finest that represent the very best in quality, innovation, technique and presentation, while others casually entertain the visiting taste buds in their own modest ways. 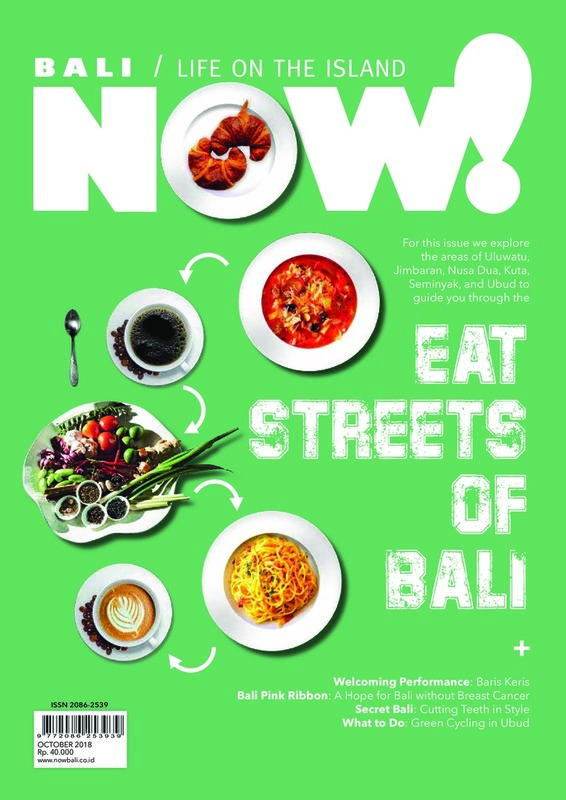 For this month’s issue, we took on a culinary journey through the ‘eat streets’ of Bali, where Bali’s best dining establishments find their homes, and indulged ourselves in the many authentic flavours and innovative creations. 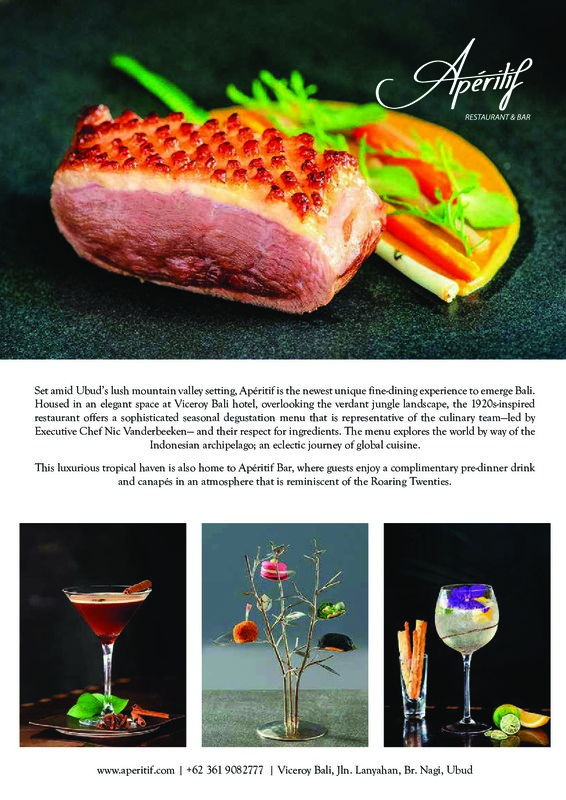 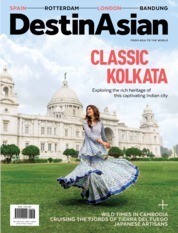 We encourage you to embark on this sumptuous journey as well. 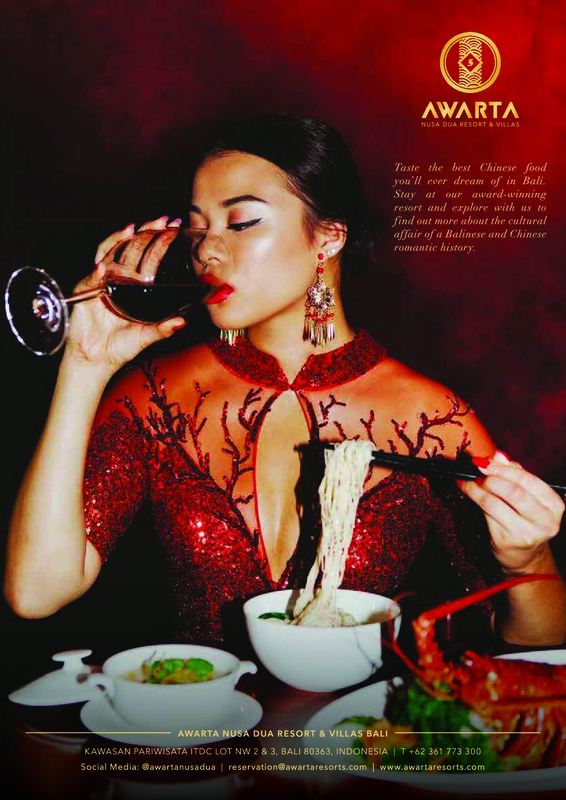 And when you , please note that some of the restaurants we’ve listed on the following pages are very high in demand; so reservation, and sometimes proper attire, are required. 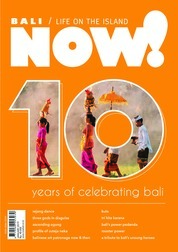 36 – One lesser visited area in Bali is Kerambitan, a quiet district towards the west. 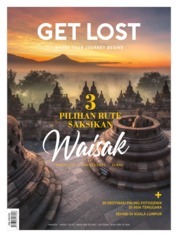 Here we visit a royal palace, Puri Anyar Kerambitan, and find a wealth of history behind its walls. 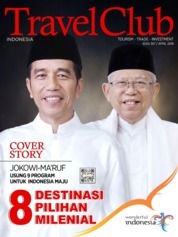 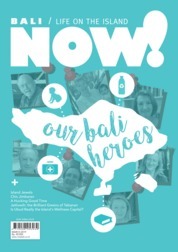 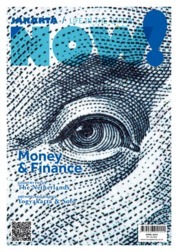 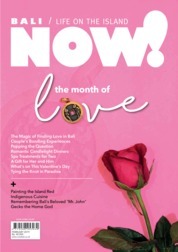 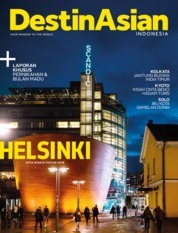 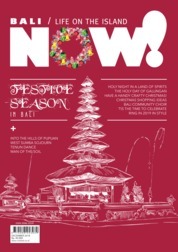 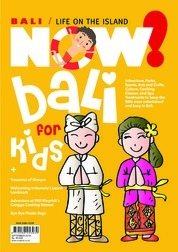 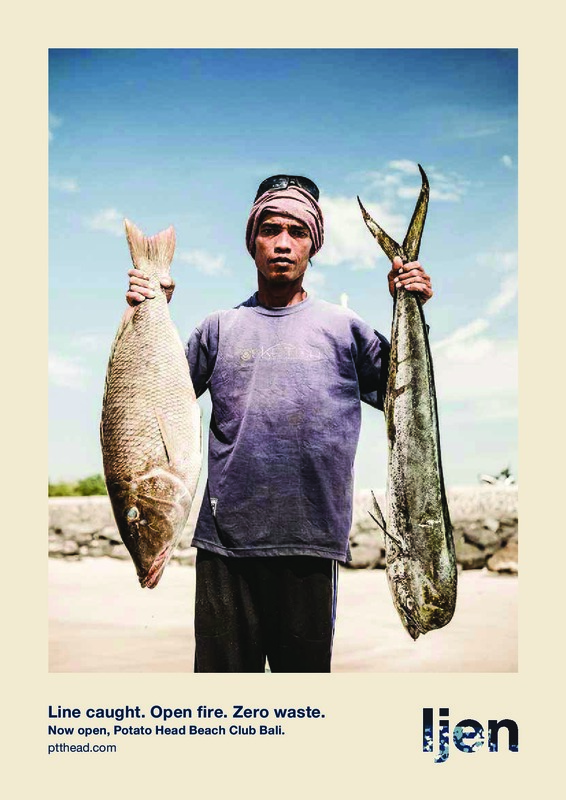 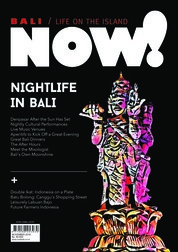 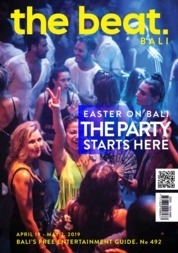 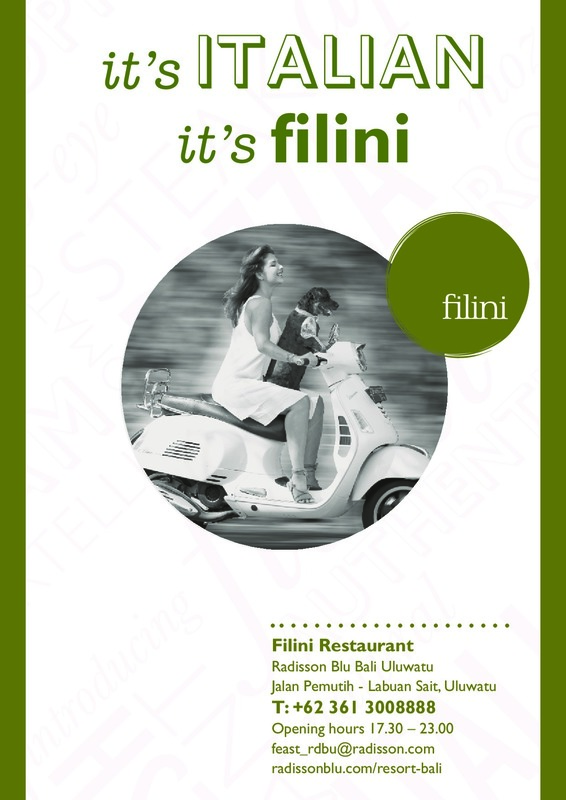 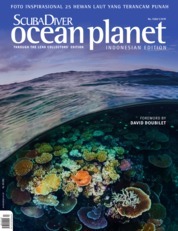 98 – For this month’s issue, Will Meyrick discusses Street Food with NOW Bali. 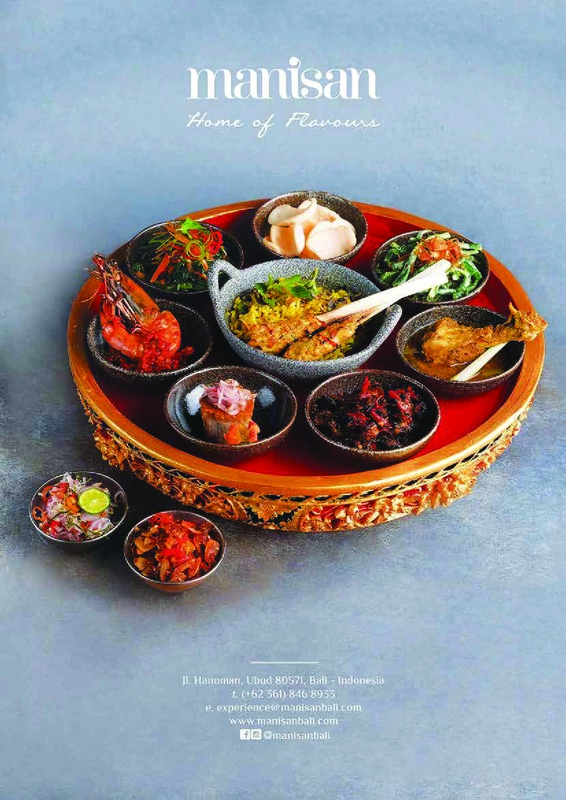 Will is known as the Street Food Chef for his commitment to bringing the history and culture of Indonesian cuisine to a wider audience through his established restaurants.